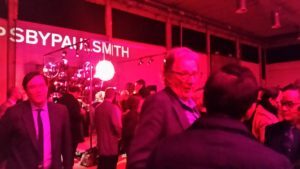 Foreign trade fairs, curiously enough, are a great place to catch up with old British friends and to discover new UK-based manufacturers. 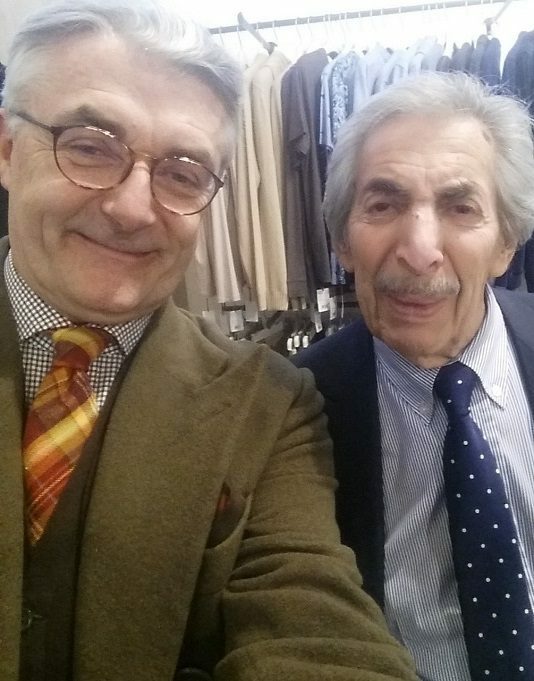 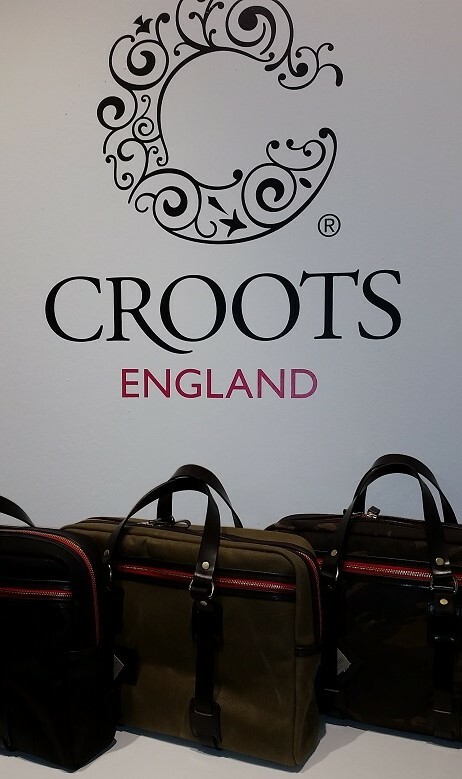 So it proved at Pitti Immagine Uomo this month when I made contact for the first time with Allistair Croot, director of Croots England. 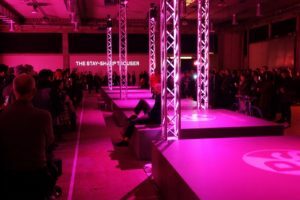 The brand was created six years ago. 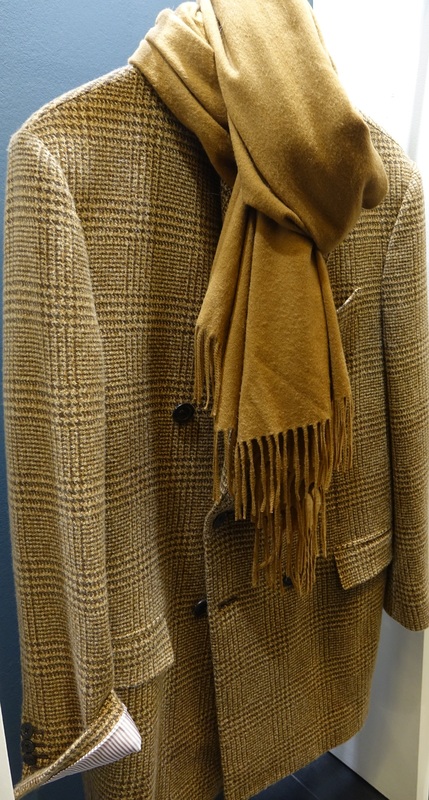 It is based at a small factory in North Yorkshire that was set up in 1978 by the family of Allistair’s wife, Jackie. 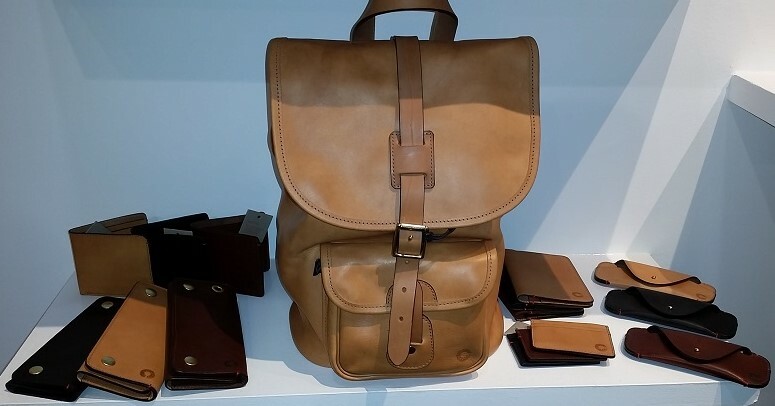 The old business concentrated on making bags and similar accessories for the hunting-shooting-fishing sector and while Croots England still is a market leader in the premium level of that category, in its new guise it has added a city line, aimed at stylish metropolitan consumers. 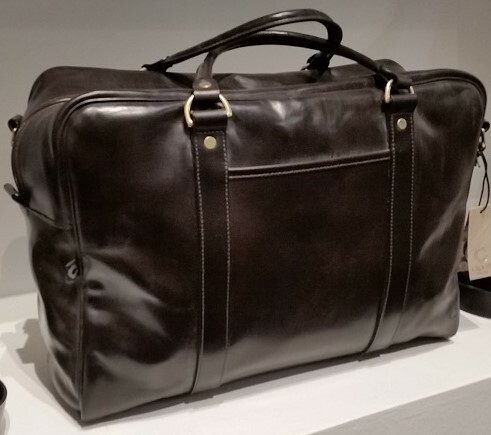 The collection comprises about 50-60 products ranging from a credit card holder at £60 to a full-leather overnight bag at about £750. 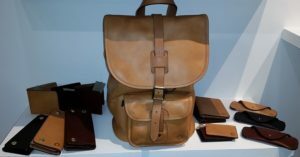 Laptop and document cases at around £500-£600 are among the top sellers. 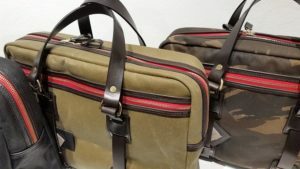 Canvas bags are around £350-£400. Belts are about £80. All the products are made in the production unit in Malton, North Yorkshire, which has 15 employees, many of them women. 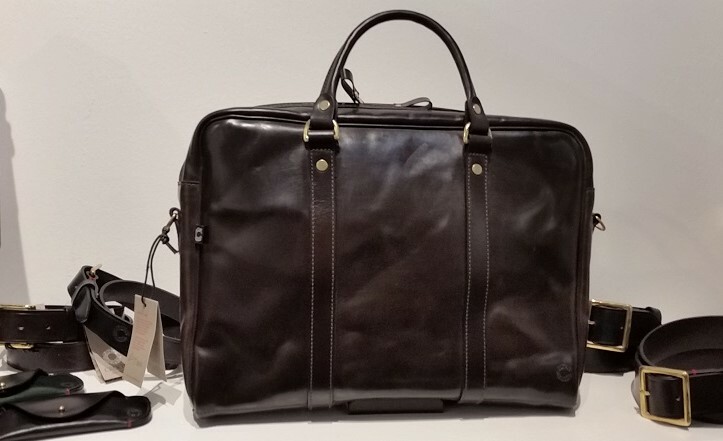 The raw materials are either Italian vegetable-tanned leathers or bridle leather that is waxed and finished in the UK. 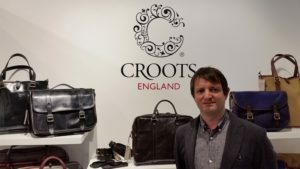 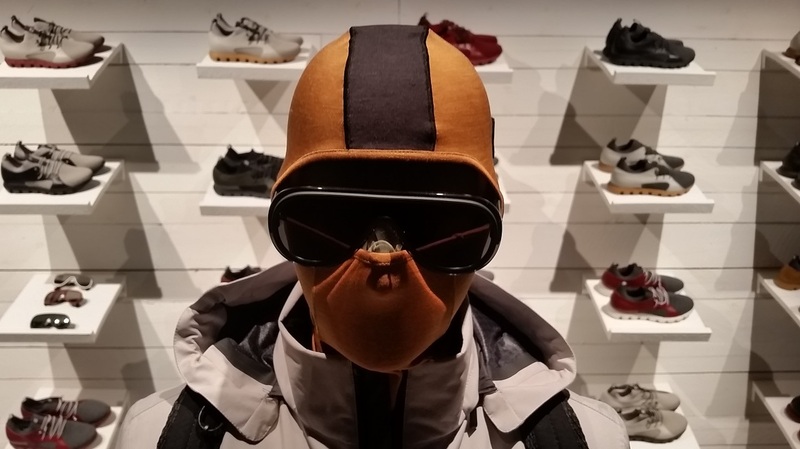 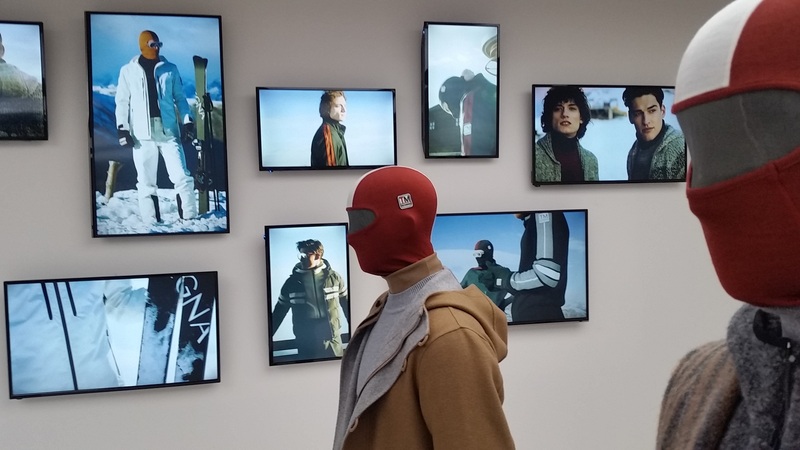 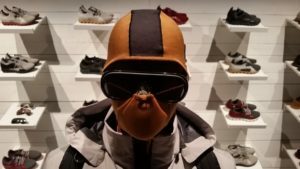 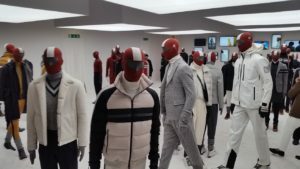 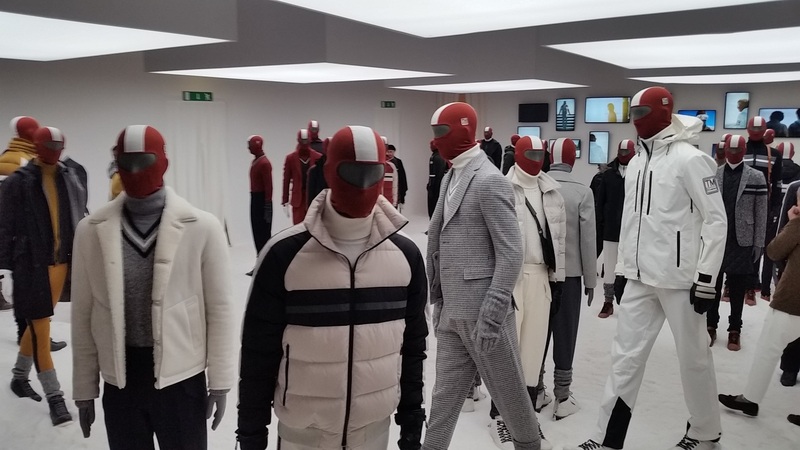 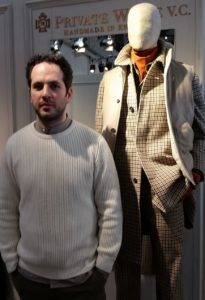 Showing at Pitti Uomo for several seasons has given Croots a useful network of international stockists, but most of its business on the city line in the UK is done on its efficient ecommerce site. 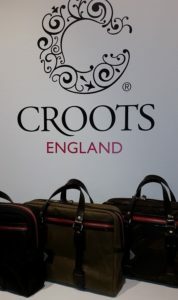 Croots England is well worth a look if you like premium UK-made goods. 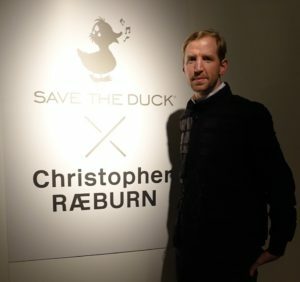 Having finished his stint as creative director of Swiss-based Victorinox, British designer Christopher Raeburn has put in a shift with an Italian brand called Save The Duck. 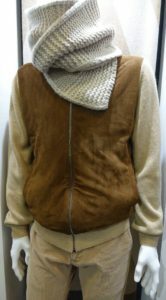 Based in Milan, the company avoids the use of feathers, fur, leather and hides, choosing instead synthetic materials and fillings. 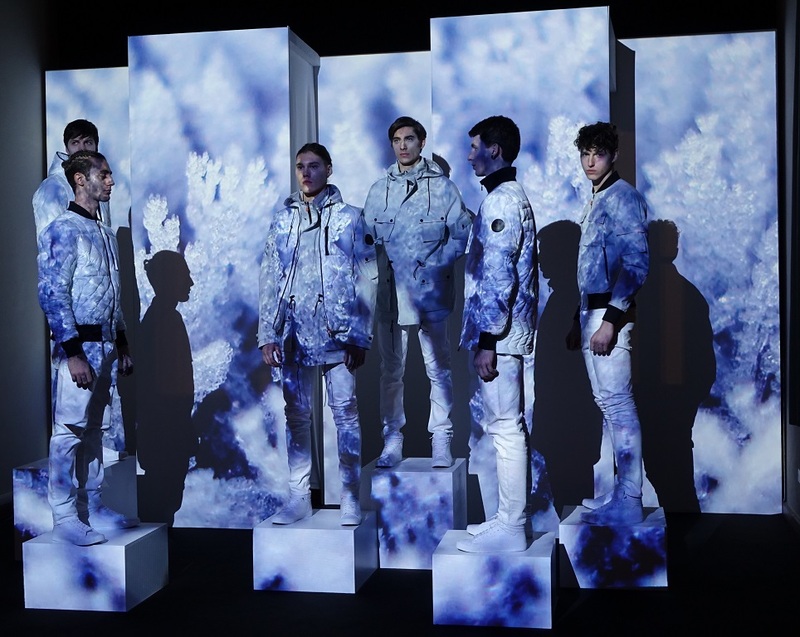 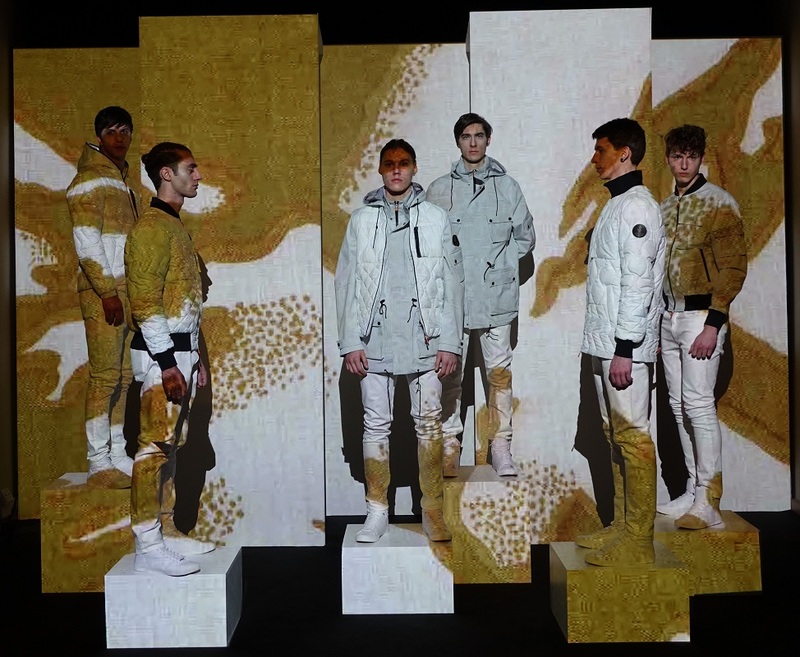 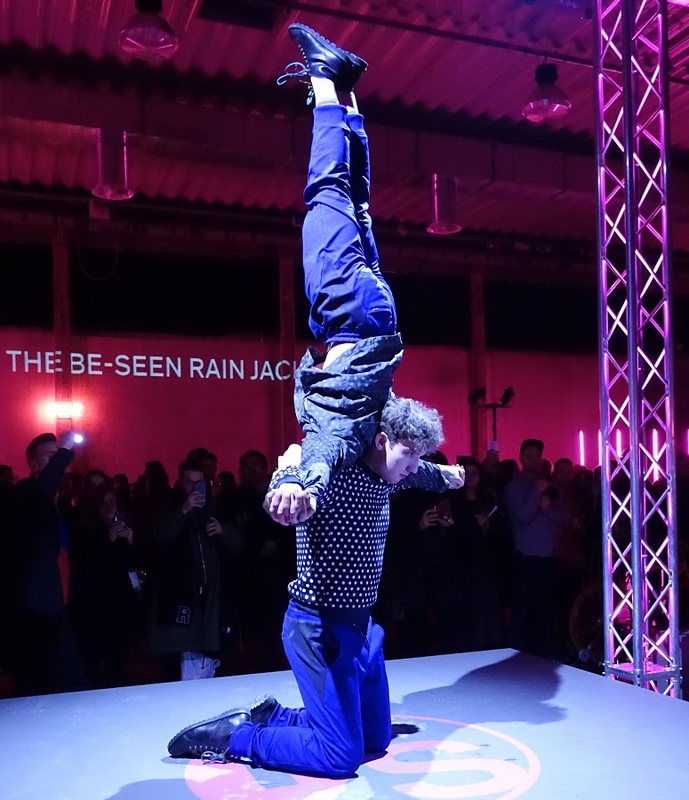 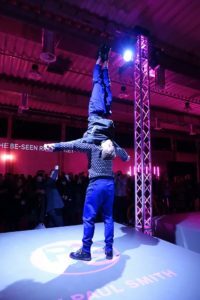 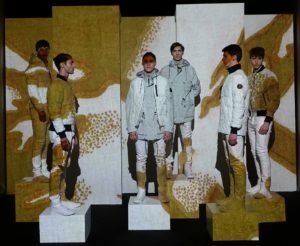 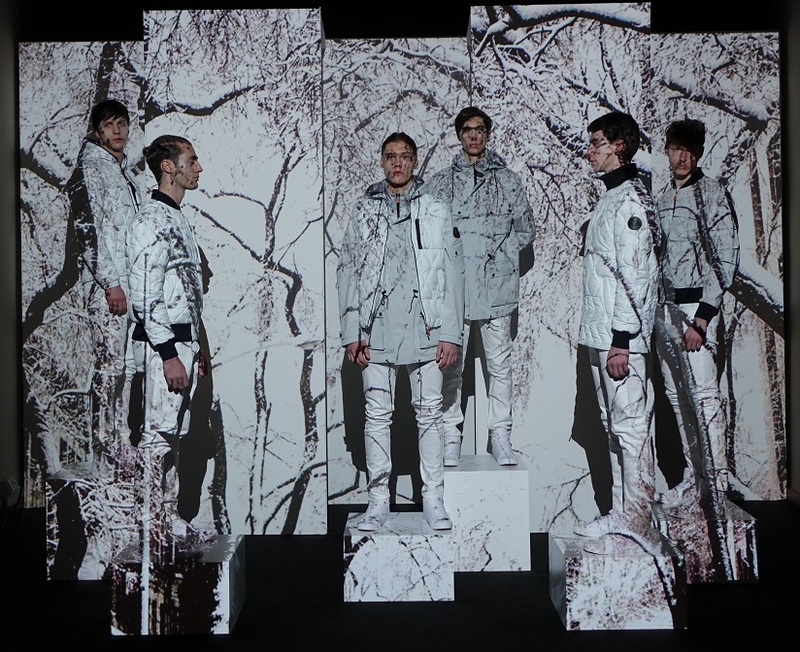 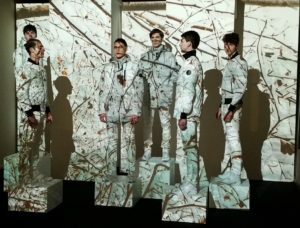 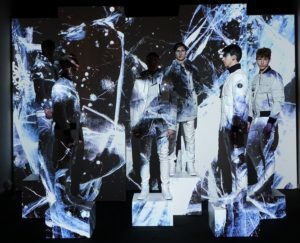 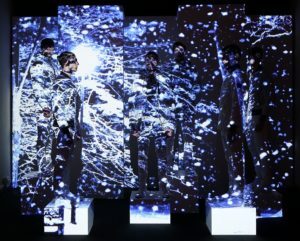 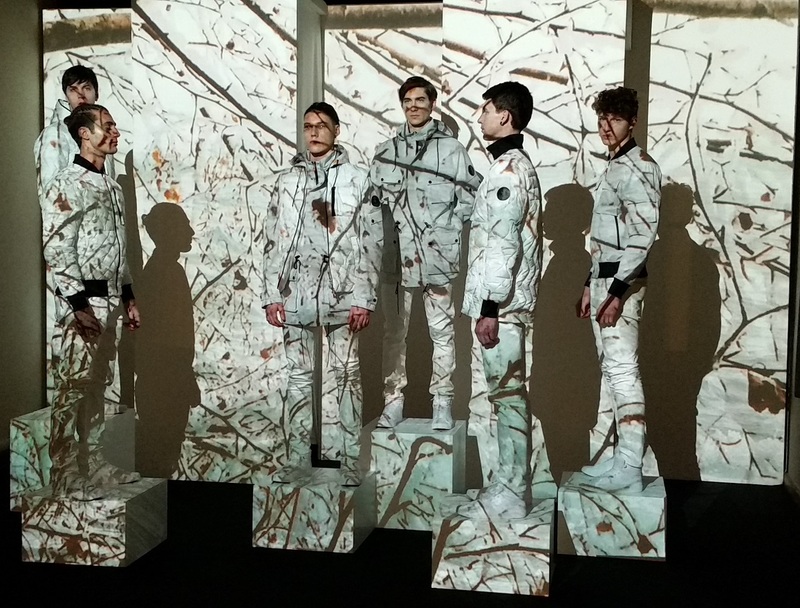 The autumn-winter 17 collection was presented at Pitti Uomo in an intriguing tableau featuring six models stationary on plinths. 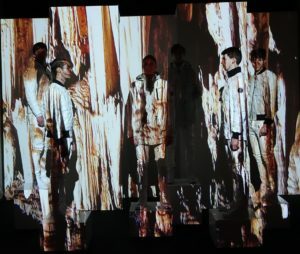 Changing images from nature were projected on to them, producing a simple but hypnotic effect. 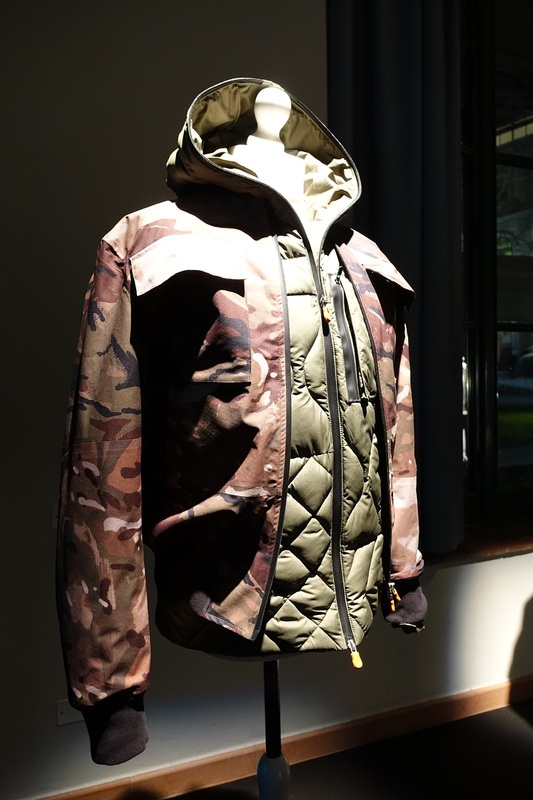 Selections from the collection were available for examination – I liked this camo jacket and detachable inner lining. 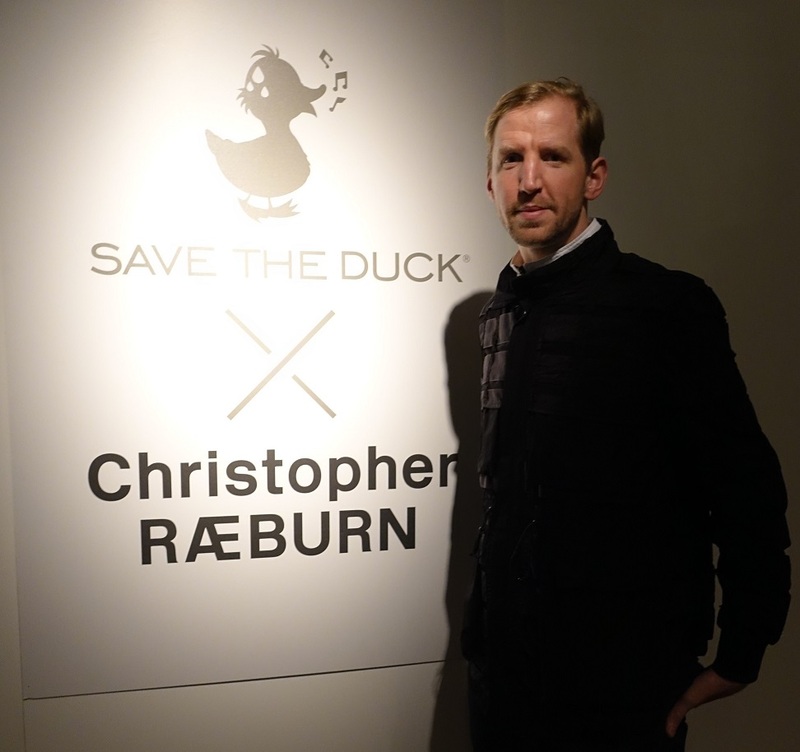 And Christopher Raeburn was on hand, being his usual charming self. 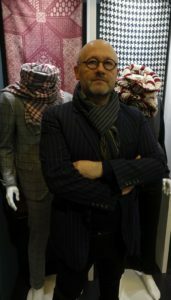 Regular readers of this blog will know I am a long-time admirer of Johnstons of Elgin. 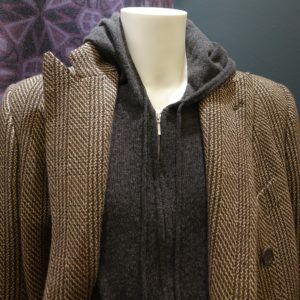 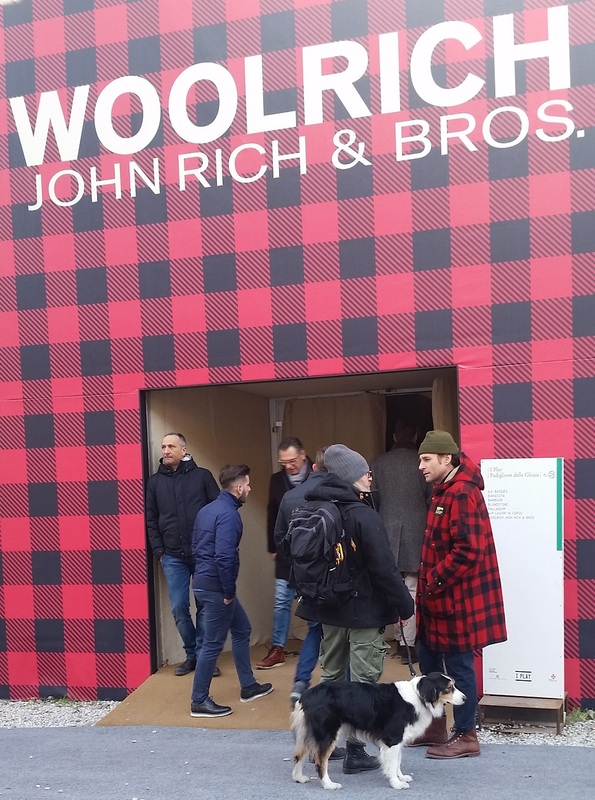 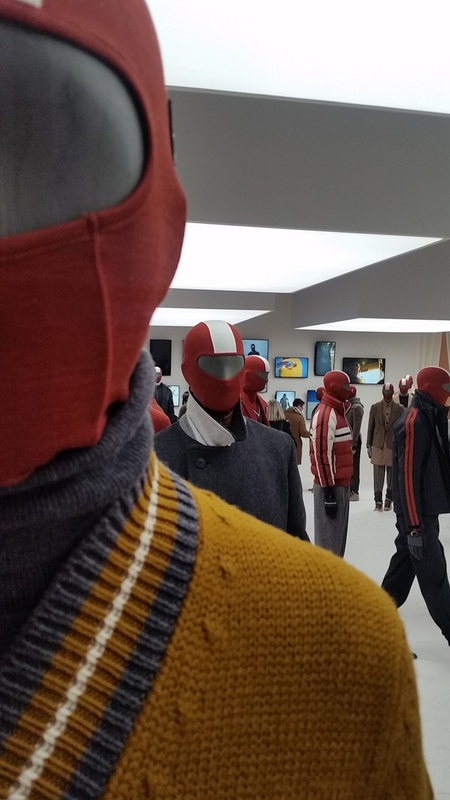 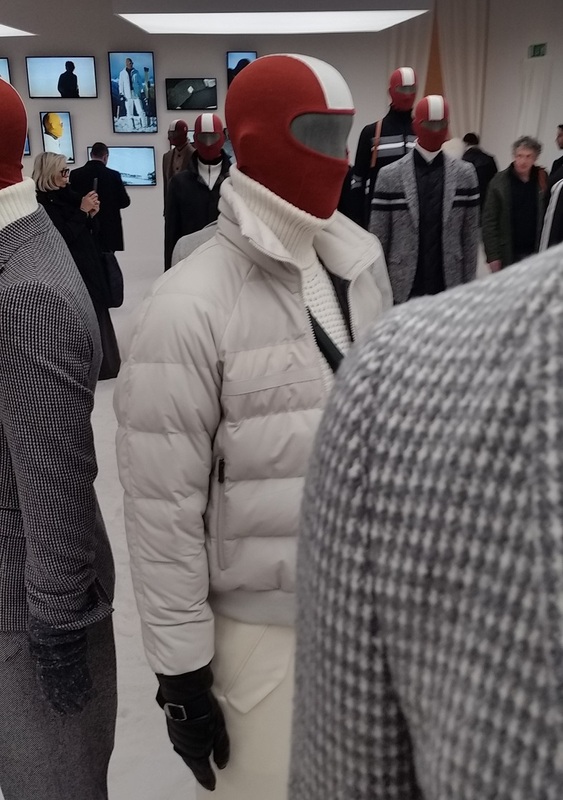 At the Pitti Uomo show in Florence this month a new direction for the Scottish firm was revealed by design chief Alan Scott, who is in creative charge of the woven, knitted and ready-to-wear ranges. These autumn-winter 17 styles are an impressive way of helping celebrate the 220th anniversary of the business this year. These tweeds are typical of Johnston’s look, and are very soft and luxurious, with an appropriately soft construction to the garments. 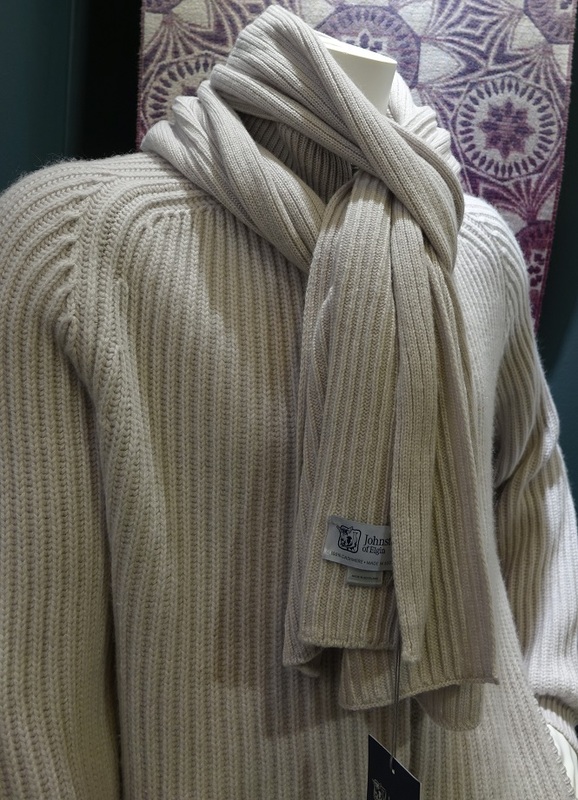 The cashmere knitwear is of typical high-quality, reflecting the investment the firm has made in new machinery in its plant in Hawick. 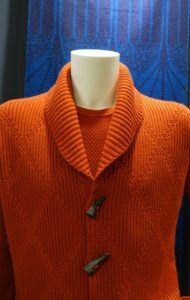 I love the punchy orange shade of the cardigan. 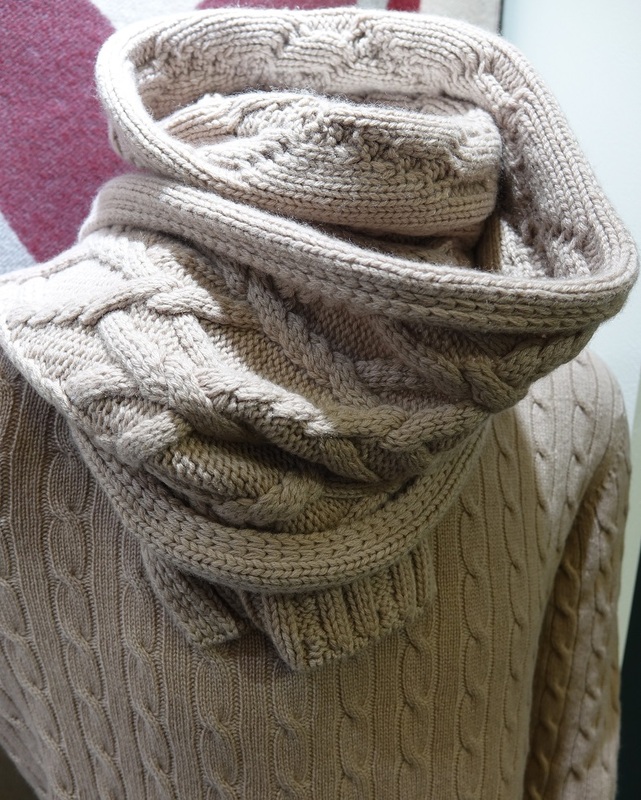 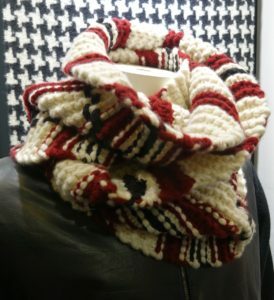 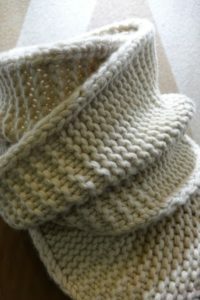 The heavy-gauge chunky knitted scarves in cashmere and merino were eye-catching and will give consumers a way to buy into what will be a premium-priced range. 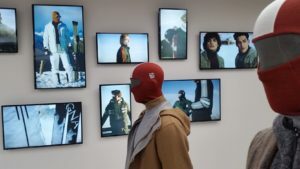 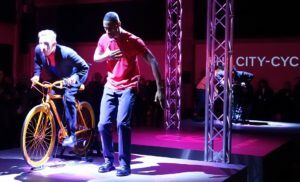 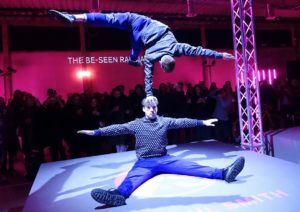 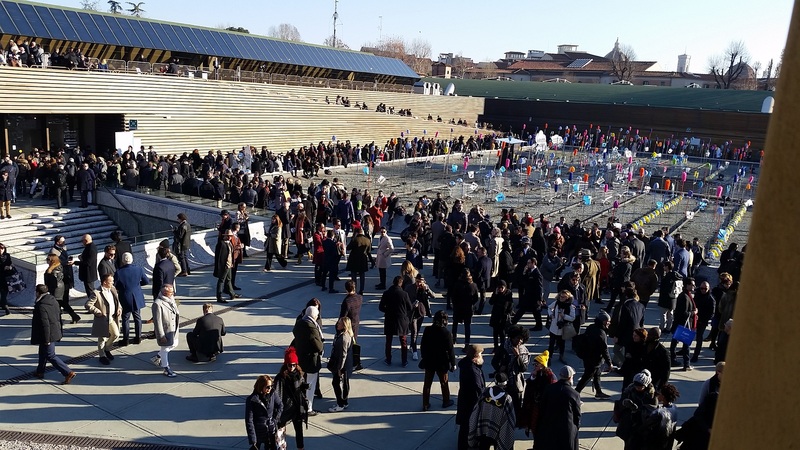 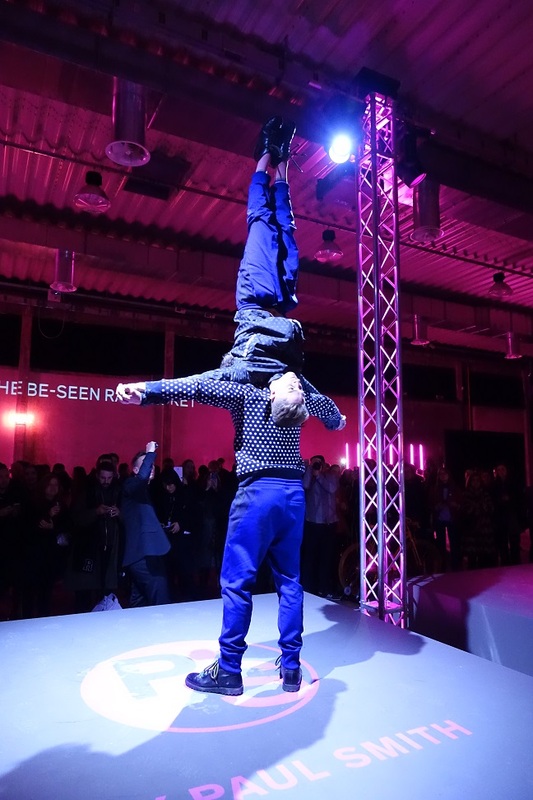 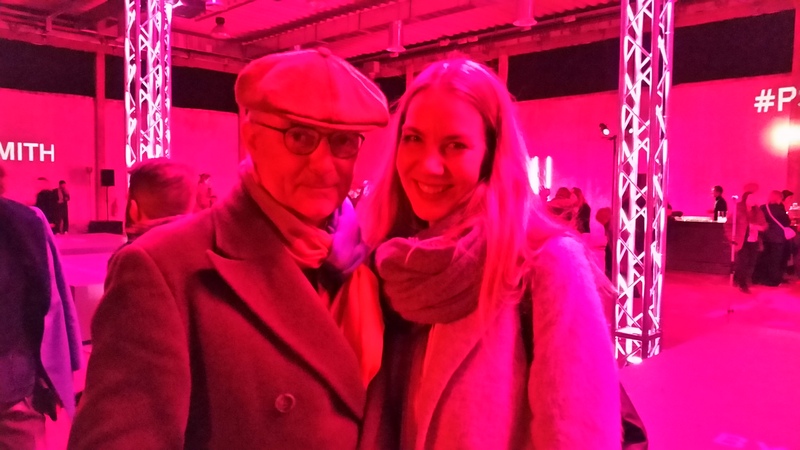 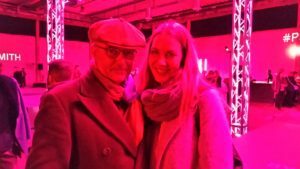 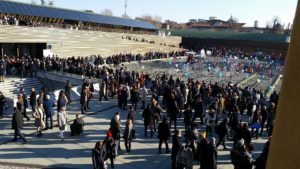 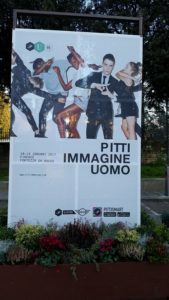 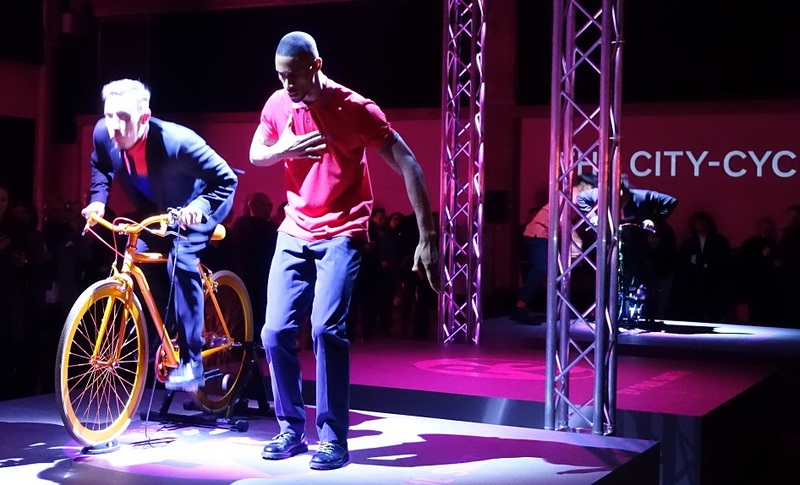 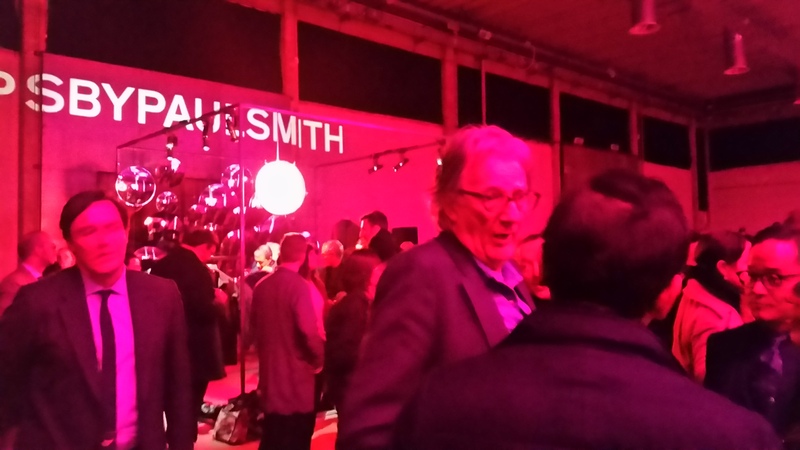 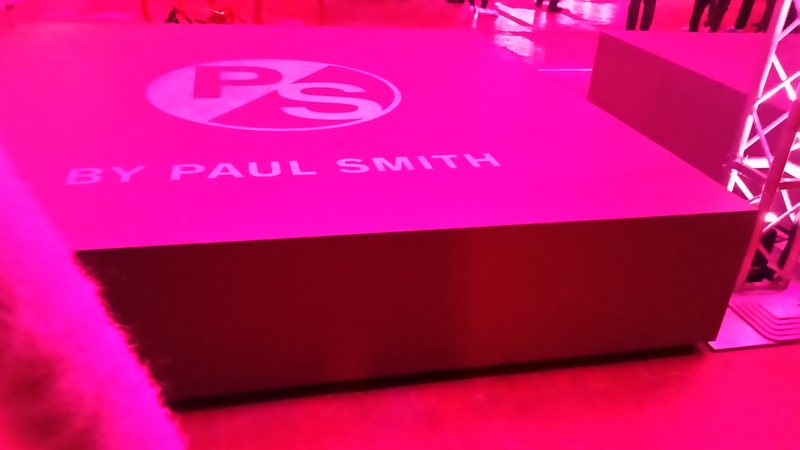 Sir Paul Smith was, as usual, in much demand from his fans and admirers at the lively launch of his PS by Paul Smith sub-brand at Pitti Immagine Uomo 91 on 11 January. Sir Paul promised that the presentation would be “very high energy” and he was as good as his word. Some very talented dancers and gymnasts showed off the “functional fabrics and intelligent design features” of the PS range in a series of sometimes incredible displays, none of which will I be trying at home. 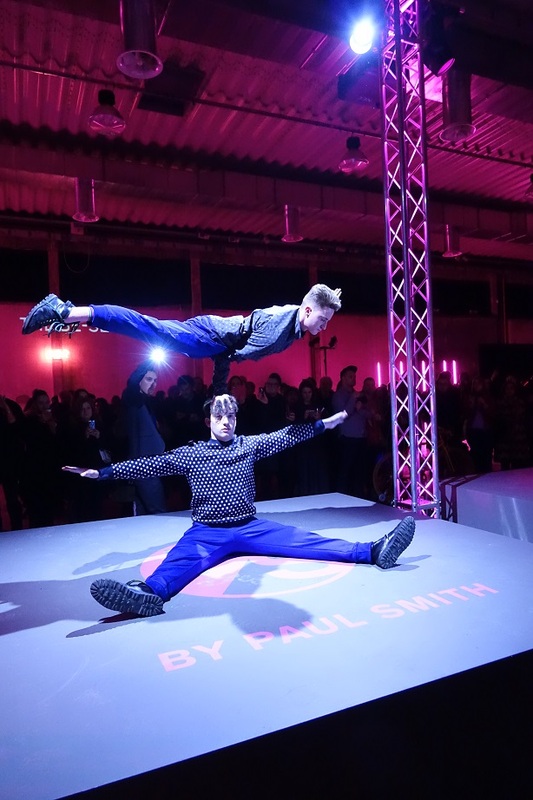 On a historical note, Paul Smith was the first guest designer to be invited to make a presentation at Pitti Uomo, back in 1993. 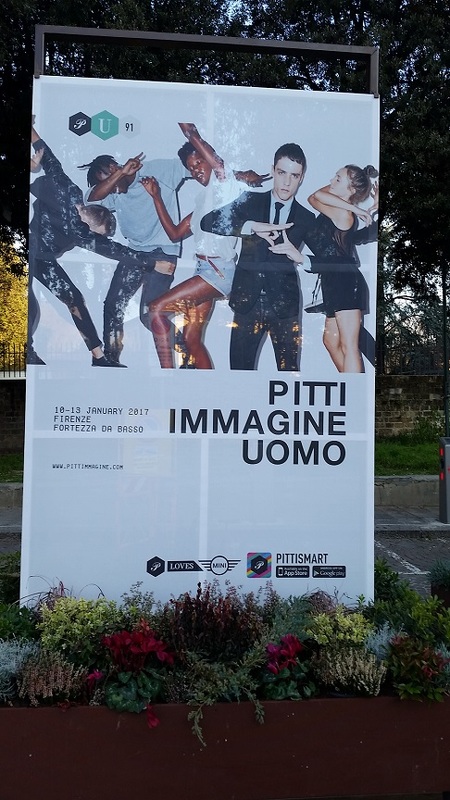 Such presentations are a regular part of the Pitti schedule these days.